Following a nine and a half year journey, a NASA spacecraft on Tuesday began a flyby past Pluto, and today it provided the first-close up images of the mysterious dwarf planet that lies beyond Neptune. The first photo of Pluto — which in August 2006 was famously downgraded from a planet to a dwarf planet — was released on Tuesday, taken by the New Horizons spacecraft hovering about 7,750 miles above. 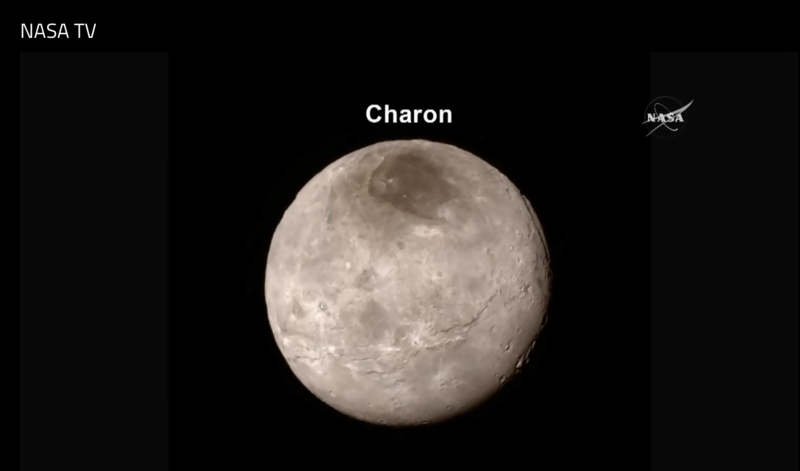 On Wednesday, the agency began releasing high-resolution images of Pluto's surface and its moons, Charon, Nix, and Hydra. Surface composition team leader Will Grundy says that the images of Pluto and its steep topography suggest "a far more complex world than people predicted." 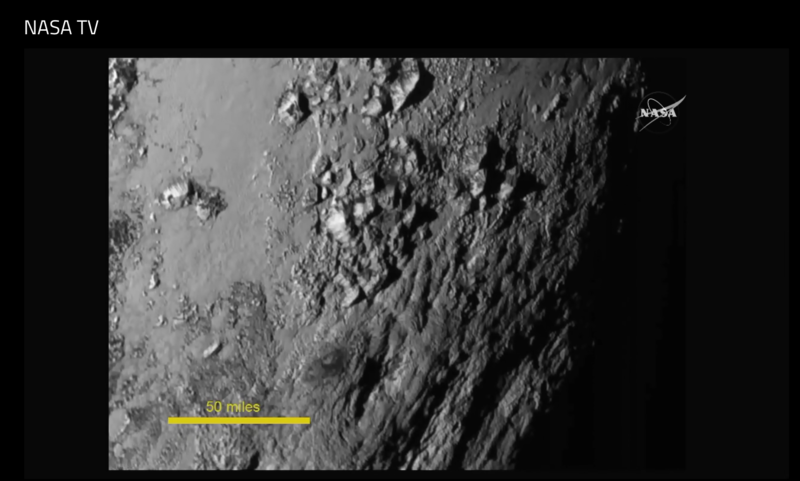 The mountains on Pluto are estimated to be the size of the Rockies. "There's been erosion, there's been mountain building. It's baffling. It's baffling in a very interesting and wonderful way," space architect John Spencer said at a press conference on Wednesday. The NASA team says the discovery of Pluto's icy mountain range indicates an unexpected degree of geological activity on the dwarf planet that was previously believed to be inactive. The team speculated that continuing geological activity on Pluto might be attributed to an internal ocean, energy retained during planetary formation, or radioactive heat. Alan Stern, investigator of the Southwest Research Institute, said in the same press conference that "we now have an isolated, small planet that's showing activity after four and a half billion years." "This is a really big discovery that we've just made this morning," Stern added. "I think that's going to send a lot of geophysicists back to the drawing board." On Tuesday, NASA's Assistant to the President for Science and Technology John Holdren said upon reaching Pluto — which was first discovered 85 years ago — that this feat is just the latest scientific accomplishment at the agency. "As New Horizons completes its flyby of Pluto and continues deeper into the Kuiper Belt, NASA's multifaceted journey of discovery continues," he said. "The exploration of Pluto and its moons by New Horizons represents the capstone event to 50 years of planetary exploration by NASA and the United States," NASA Administrator Charles Bolden said. "This mission has completed the initial survey of our solar system." The trip to Pluto, which began in January 2006, took one minute less than they had predicted, NASA said Tuesday.